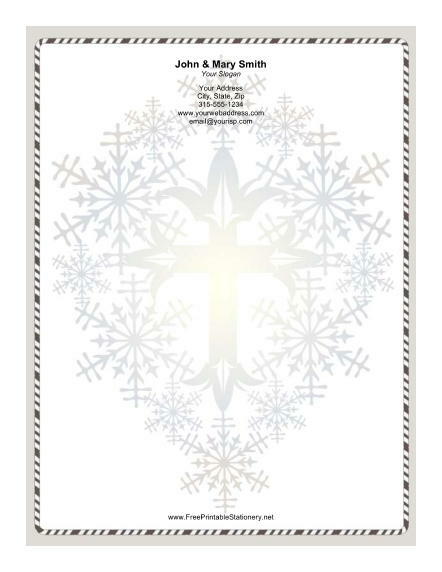 A stylized cross lies against an ornate background of snowflakes on this Christmas paper. This traditional background is surrounded by a festive frame of black and white candy canes. This holiday stationery is exactly what you need to write a trendy Christmas letter.